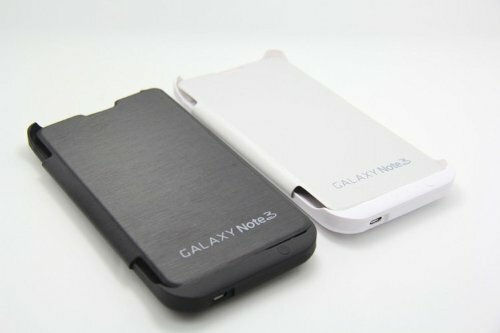 Need more power for your Galaxy Note 3? Can't keep your Galaxy Note 3 powered for the whole day? The Energi Protective Battery Case for the Samsung Galaxy Note 3 features a powerful 5200 mAh Lithium-polymer battery while doubling as a stylish and protective case to protect your valuable phone. The 5200 mAh battery gives you extra battery power for your Samsung Galaxy Note 3 providing up to a 1.5-2x extra charge for your phone. It is also a stylish protective case that shields the back of your Galaxy Note 3 smartphone from scratches in your pocket. There is also an innovative kickstand on the back of the case that can be easily opened to prop up your Galaxy Note 3 to watch movies and videos in a comfortable viewing angle hands-free. It is compatible with AT&T, Verizon, Sprint and T-Mobile as well as international versions of the Samsung Galaxy Note 3 mobile phone. The case comes in Black. If you have any questions about this product by Energi, contact us by completing and submitting the form below. If you are looking for a specif part number, please include it with your message.